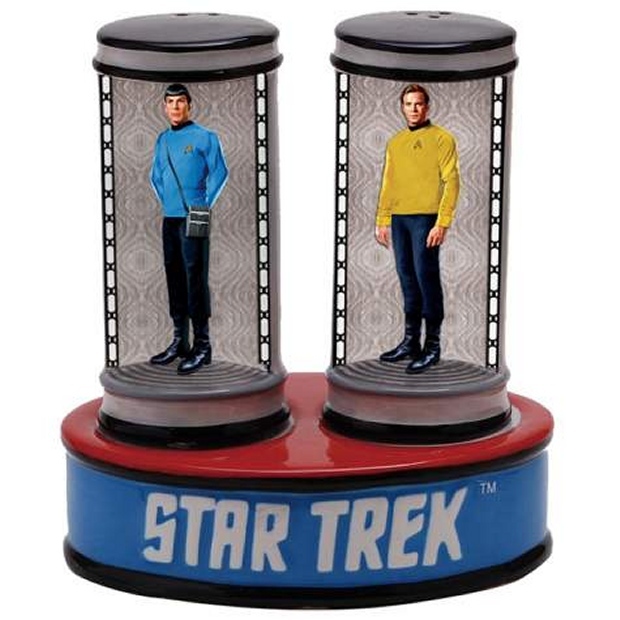 You can never have too much Star Trek, so prepare for the latest in salt and pepper shakers technology. Kirk and Spock are ready to sprinkle some Starfleet seasonings on to your food with these transporter salt and pepper shakers. You can’t buy them quite yet, but keep them on your radar, because usually when items get added to Westland Giftware’s wholesale catalog, they show up from retailers a few months later. I really want these to make some kind of transporter effect when you shake them.